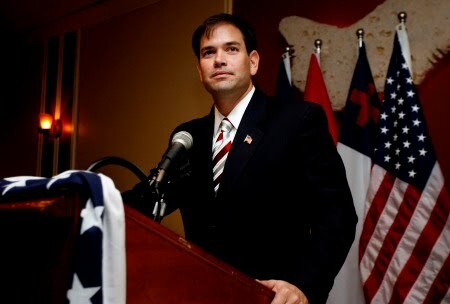 Video:Marco Rubio Attends "Happy Hour"
Marco Rubio answers the question, "Why are you running?" "Because I think America is the single greatest civilization in human history. I believe that everthing that has made this country great is being threatened by the direction that this leadership would take our country..."